FRANCES: I was so relieved today that we actually were able to go kayaking. We have been in a weather pattern of morning and afternoon thunderstorms which have prevented our trips for several weeks. Today we were on the water before sunrise and the water was as smooth as glass, perfectly reflecting the clouds in the water below. The sunrise would have been the most peaceful and beautiful thing, with the orange sun marking the spot between the clouds in the sky and clouds reflected on the water. 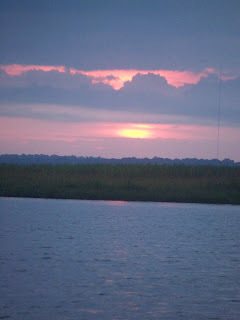 That is, except for the air boat which came buzzing through the middle of it all just as the sun crested over the trees. I remember wondering how these young men could set their boat away from the gorgeous sunrise and the beauty and wonder behind them. The thought still amazes me. It made me think then of how we so often run from the Lord and His mercy and grace, when it is so obvious we should only and always run to Him. The wake of the airboat did make some very interesting undulations in the water, causing reflections which I would not have seen otherwise. So even though I was at first tempted to be irritated by the young men and their boat for disturbing the peace and calm of that blissful scene, I ended up being pleased with the beauty their interruption provided. 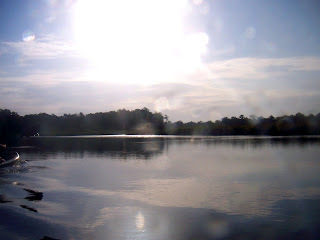 By the time we made it out of Chacaloochee Bay and reached Apalachee River, the sun was already well risen. We decided to head south with the river and follow it into Mobile Bay. Our intent was to follow the eastern shoreline along until we were ready to turn back, but as is often the case, our plans are not God's plans. We crossed under the bridge from the Causeway and headed toward the bridges from the Bayway. I wondered about all the cars and trucks speeding along on the interstate, looking out at the two of us on our little kayaks on the water. How often have I looked out from that roadway at people boating or fishing and wondered about who they were and what they were doing. We entered Mobile Bay and I was impressed again with the expanse of this body of water. I told Glen we should set a goal to kayak from one side to the other one day. Looking at the map now, I estimate that at the narrowest part our trip across the bay would be about nine miles one way. We headed along, roughly following the shoreline. The sun was higher now and there was little to no wind, so it began to get warm. I splashed water on myself and into my boat to try to cool off. As we paddled on, I began to notice increasing cloud cover over and ahead of us. The weather prediction had been for thunderstorms and rain later in the day, and the clouds were beginning to have a darker look to them. I watched them grow darker and darker for a while before pointing them out to Glen. We were out in the bay, and there was no place at all for cover or safety. We would be the tallest thing on the water if a thunderstorm broke out, so we decided to head back to the river. On the way back, I was becoming uncomfortable from the heat. There was no breeze at all on the bay, so I thought about slipping off my boat for a moment into the water just to cool off. I stuck my paddle down in the water to plumb the depth of the water. I was surprised to see my paddle submerged only about three feet! That wouldn't help to cool me off much, so I stayed on my boat. Once we got back to the river, we had a refreshing breeze in our faces. We stopped at the bridge to stretch our backs. Glen got out and walked around. I preferred to just stretch out on my boat, but I wish I hadn't. 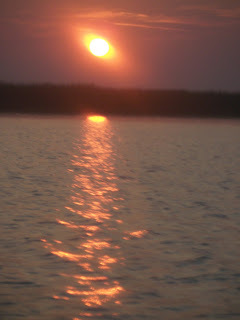 I had put my sunglasses on my hat, and when I leaned backwards, they hit the hull of the boat and tipped into the water. Now, these were advertised to be "floating" sunglasses, and to be fair, they did float -- for about three seconds -- after which they promptly sank to the bottom of the river. We saw some beautiful birds along the way back and had an uneventful return journey. At the put-in, I had that same feeling I always do. I just didn't want to stop; I didn't want to get out of the water or out of the boat. But I was so glad we had the opportunity to go again after so many weeks of watching the clouds and the rain. GLEN: As Frances's photographs will attest, we witnessed an incredible sunrise last week, and waters that shined like smooth glass. I was amazed, as always, and literally could not take my eyes off the scene. The young men in the powerboat heading westward and away from the sunrise, however, were guided by a different excitement. Speed, of the velocity variety, of course. This is fine, and as a younger man, I would likely have been as thrilled by heading west at a rapid rate, away from the sunrise, as I was gazing east as an older man, being as still as possible so I wouldn't miss a second of the sunrise (I'm sure it has something to do with testosterone levels). This is fine, although I must say that my pursuit of seeing beauty did not affect the young men's pursuit of experiencing speed. Theirs, on the other hand, did take away from my enjoyment. They never knew that such was the case, I am sure. They didn't know that the waves and ripples from their boat that hit our kayaks a few minutes later were symbolic of their influence earlier. As Frances has often addressed in her writings, our lives touch people in some significant way, whether knowingly or not. This must be particularly true of born believers in the Lord Jesus Christ, who bear within their spirits the living God Himself. I suspect that our mere presence as we walk with Him in faith and submission speaks to the innermost being of people. Add to this kindly attitudes, respectful demeanor, fitly spoken words, and an obviously willingness to self-sacrificially act on the behalf of others, and you have the very real possibility of revealing the Lord Jesus in every contact, discussion, and relationship. "Whatsoever ye do, do all to the glory of God" (I Corinthians 10:31). Thus, every moment matters, and even more, every movement in and among those with whom we live our earthly lives. We are waves and ripples for the glory of God. Submitted to Him, our human faculties wash over the knowing and the unknowing, speaking of ancient glories that call to the depths of the human heart. Our own gaze is ever fixed eastward, as it were, on a risen Son far more glorious than the rising son, and in a manner that directs others to look also. Indeed, I so wanted to say to those young men in the speedboat, "Stop, turn around, and look!" I couldn't do so, but I can so live and communicate in such a manner that I call my world to an even greater witnessing of glory. Stop, turn around, and look! The Lord Jesus is risen from the dead! Our lives can declare this in everything we do, and they must. When I was growing up, all the "special" foods seemed to begin with celery, onions, bell peppers and garlic sauteing in olive oil. It is a smell that can immediately transport me to my childhood. 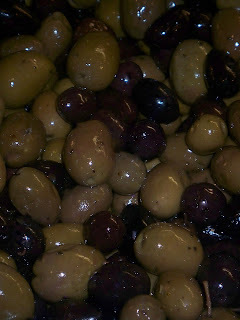 In fact, olives themselves were are a very precious part of my childhood memories. I remember the huge class jar, it seemed like it could have held three or four gallons to my little eyes, was always kept up high on the top shelf of the cabinet. I supposed at the time that was to keep it away from smaller hands that might be tempted to help themselves if it were located any lower. You see, we weren't allowed to just dip into the jar any time we wanted. No, the olives were reserved for special occasions or special dishes. They were doled out to children, who were thought to not actually appreciate their flavor and mystique, only on rare occasions. Because of my childhood, I consider olives and olive oil very special. In the cooking sense, olive oil -- and especially extra-virgin olive oil, is a tastier, and costlier form of oil than say vegetable oil or canola oil. But take a walk down your average mega-mart and find the oil aisle. What will you see? 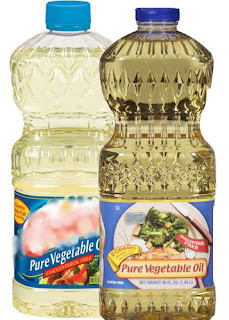 You will see rows of bottles of different types of vegetable oils: corn oil, canola oil, blended oils, and they all seem to be in faux cut glass bottles. All look so similar, plastic, "cut-glass" bottles. By contrast, the extra-virgin olive oil, the tastiest and most expensive oil sold at our mega-mart, was in a plain, simple bottle. So the plain stuff, used mostly for frying or to be hidden in recipes like cakes and muffins, was in the pretend, fancy looking bottle: not really cut-glass, not really even glass; just molded plastic to look like cut-glass. 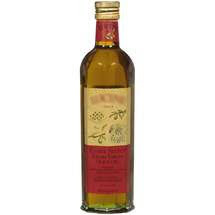 The expensive, tasty oil, which could be spread on fine Italian bread in place of butter, or drizzled over fine salad greens, was in the plain simple bottle. It is said of our Lord that He is "meek and lowly"(Matthew 11:29). It is said of the Holy Spirit that when He would come, "He shall not speak of Himself;" (John 16:13). The Love of God discussed in 1 Corinthians 13 is said that it vaunts not itself, and seeks not it's own. Our God is a god of humility. Our Lord is the One who put His garments aside, gird Himself with a towel and washed the feet of His disciples. Our Lord is the One who said, "If any man desire to be first, the same shall be last of all, and servant of all." Our Lord is the Lord of Lords and Kings of Kings and yet He walked upon this earth in such tenderness and humility that none were afraid to call out to Him, nor to throng Him in hopes of sight or speech or a cure. In our day, let us watch and not be weary that we are not like the vegetable oil, taunting ourselves as more than we are, proud that we are something we are not -- plastic pretending to be cut-glass. Let us walk to be like the olive oil, simple and humble, but providing taste and life and true value to all who will look beyond the bottle to the taste of that One True Vine held within. "I am the true vine, and my Father is the husbandman." Now, I have to confess that I am not as good at any of these definitions as I have been in the past. There are times I walk into a room to do something, I stop and can't for the life of me remember why I even walked into the room in the first place. Sometimes I sit at the computer with the express purpose of looking something up on the internet and before my computer has booted up, I've forgotten what I wanted to research. I'm not even as good at conveying greetings anymore. I love making greeting cards, but I confess I have three beautiful cards in there right now that I made for people for particular occasions --- you guessed it, then I forgot I had made them. I don't guess you can send a wedding card after their first anniversary, can you? "I don't remember saying that." As if that meant the comment didn't exist in my memory now either. I say all that to point out that our memories are fragile and imperfect things. What we are sure we remember, isn't always true. What we think we won't forget, we most often do. We should find comfort in the fact that is is not important what we remember. It is only important what God remembers. And also what He doesn't remember. He remembers that He loves us. . . enough to give His only Son to die for our sins. He remembers that we are but dust... and that it is "He that hath made us". He remembers that we are precious to Him and a source of pleasure and joy to Him. He will not remember our sins once we have been redeemed by the blood of His Son. Every time we have a moment of faulty memory, we should take the opportunity to thank Him that His memory is perfect, except where He chooses it not to be. sermon our dear friend Larry preached last Sunday morning. "Don't fear the clouds," he said, "they have a purpose." When the clouds, which we know are just collections of water vapor, become super saturated, rain will fall. 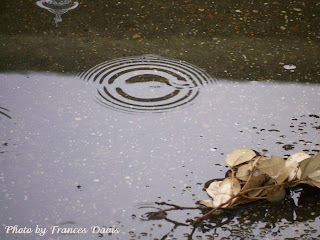 When light shines through these raindrops, the refraction of the light through the water causes the light to bend. The angle of bending is different for different wavelengths of light. As the white light moves through the sides of the raindrop, the different colors bend different amounts and in doing so spread out into a rainbow. So, a rainbow is the result of light being broken through water. The water particles in the clouds are exactly what makes the rainbow possible. It was a token of grace. In my life, when those moments of trouble or frustration or "clouds" come, when the rains fall, how often is my vision fixed upon the clouds? How often, as when realizing there will be no kayaking today, is there a frown? But the clouds must come if I am to see a rainbow. The rainbow is the token of grace through the storm -- not out of the storm, but through the storm. Persecuted, but not forsaken; cast down, but not destroyed; Always bearing about in the body the dying of the Lord Jesus, that the life also of Jesus might be made manifest in our body. There is another token of grace for us to remember. On Calvary, the Light of the World was nailed to a cross and the clouds and rain of the Father's wrath for us beat upon Him. That Light was broken on a cross for us. Instead of a rainbow, the earth saw only darkness -- the colors hidden in light could not bear to shine in the presence of the death of the one true Light. The token of grace is that new heart created in us, that rainbow of a "new creature" ever shining in our inner man, because the "love of God is shed abroad in our hearts by the Holy Ghost which is given unto us." Things just seem to be more of a reality when you see them in print, even those things which are not true. Thursday morning I was sitting outside on the swing, the puppies scurrying around at my feet. It was cold and a slight misty rain was falling. I had just finished exercising and the cool air felt so refreshing on my flushed face. I was enjoying the relaxing scene of the puppies at play when Glen silently stepped outside and handed me a portion of newspaper. By the long rows of columns dotted with portrait type pictures, I recognized the obituaries. "Marine Reservists to Head for Iraq"
It was a short article about Noah's platoon being deployed. I remember being mildly irritated that it had been buried on the obits page (oh, please pardon that pun) but that is so the way the Recon men do things. Other battalions have big ceremonies with TV cameras and ribbons and bows, but Recon men just sem to pack up and quietly leave town. May their homecoming have more celebration! JJ gave me this journal just as I was thinking it would be good to write down my thoughts while Noah was deployed. The military green color of it's cover just helped confirm my choice for these pages. As I watch her play with her toddling son William, I am struck by how short a time has passed since my Noah was a little toddling baby playing at my own feet. How a mother's heart yearns to hold that little boy just once again and yet, I will hold him forever in my heart. For all his becoming a man of war, when I look into those green eyes, I still see a little boy for whom rifles and swords were just the tools of imagination and play. For an event to still be months away, it is amazing how it invades the thoughts of today -- and yet part of me tries to push away the thoughts like an unwanted guest at the front door. I look toward the specter of the future (because we are not guaranteed that next breath) and see the times Noah will not be here. My mind wonders, "Will he be gone by Mother's Day? Father's Day? Surely he will miss Emmie's birthday." There is such a temptation to fear that which is not even upon us yet. The future, as we imagine it, is not a reality, and yet it consumes so much of our thought and if we choose to go there, our worry, our tears, our fears. Well if not for the Lord, how would we continue on? 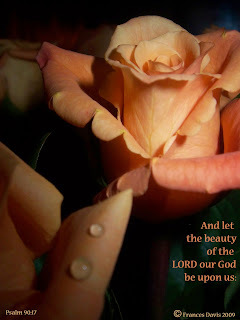 for the Lord updoldeth him with His hand." and save them, because they trust in Him." Lord, I trust my son into Your hands and I pray He will trust in You as well. We started out very early this morning, well before sunrise. We put in about 5:30 a.m. We could see the lights from the city on our left and the glow of a rosy promise of sun ahead and to our right. We were on Chacaloochee Bay again, this time headed for Conway Creek. I had studied the mating and nesting of alligators -- little did I know I should have studied about fish -- really B-I-G fish. We had to cross the marshy area and then follow the line of reeds because even though I had remembered this map this time, it was difficult to tell where the opening was. It ended up being much farther down than I had expected, but once we past is, I realized it looked exactly as it did on the satellite map. There were lots of alligators out (I know now from all that studying that they like to feed at dawn and dusk) and lots of big fishing jumping in the water. We came to the spot where the water divides. We could to to the left and go down Conway Creek or go to the right and go into Big Bateau Bay. We decided to go left. The creek was much wider than I would have expected a "creek" to be. It wasn't that much narrower than Blakeley River at the Causeway. The sides were banked with reeds -- I couldn't see any real land to speak of. There were plenty of different types of birds, some roosting on pilings. I couldn't figure out what the pilings had been from. Some even looked like they could have been part of an old dock or pier, but there were no houses or buildings. Why would there be a dock or pier out in the middle of nowhere? About half the way we traveled down Conway Creek was when we encountered "The Creature". We had been sighting quite a few alligators, a great deal of big fishing swimming and jumping, but this HUGE fish came from out of nowhere. The best we could figure out - after our heart rates came down enough to allow us to get circulation to our brains - was that when Glen put his paddle in the water, The Creature thought it was a fish, or turtle or something to eat. It then jumped on it. All I saw as a huge expanse of silvery scaled skin and a side fin splayed wide. The fin itself must have been at least ten or twelve inches. Then The Creature was gone under the water. The wake of it going directly under Glen's kayak almost rocked him out of his boat. I could even feel the motion from my own boat. We were both shocked - and didn't realize what had happened at first. Then we were sort of like "What was that?" 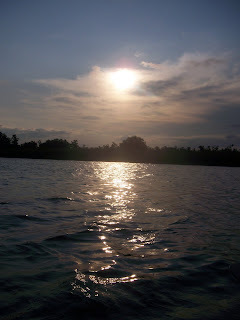 We were siting still in our boats and suddenly realized the best thing would be to keep on paddling. We continued much further down Conway Creek - this ended up being our longest paddle to that date - and then turned back. We kept a watchful eye out for The Creature, but we never saw another hint of him. As we came back to the put in, we made a wrong turn just before the put in. It is remarkable how easy it is when all the reeds and water look alike, to make a wrong turn (another reason why it is nice to have those maps!) But something tells you, "this doesn't look right", and then you realize exactly were you are. I was both relieved and frustrated at that realization. Relieved because I knew exactly how to get to the put-in, frustration because I was tired and I knew how much further we had to paddle to be done. Finally, we were at the put-in, and although I was tired and my muscles needed to quit, I was sorry to see the end come. 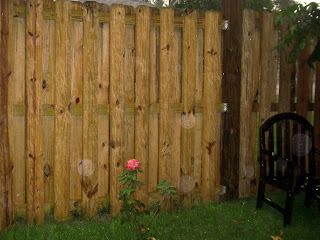 Our neighbor built this fence because he didn't like the row of shrubs that were along his side of the property line. Mainly, he didn't like the time it took to keep the bushes pruned and neatly trimmed. So, he started pulling up the bushes and building a fence. Now the purpose of a fence is two-fold. It is either to contain something or to exclude something, or both. When you think of that in terms of a neighbor, it can sort of hurt your feelings. In fact, when John first put in the fence, I was tempted to have hurt feelings a little bit. The fence that our neighbor has built is higher closer to the house and then it is lower closer to the street. So it excludes more in some places than in others. I was looking at this fence today, and thinking about it's purpose, to either keep something or someone out, or to keep something or someone in and how our now shared fence did that more in some places than others. Sometimes that's how we are about the Lord. In some places in our lives, we let the Lord in fully; in some places we have a little fence; in some places we have a tall fence. I don't think we always know that those fences actually exist, we have built them so slowly and so gradually, but we have some areas of our lives that we want to use that "fence" to exclude the Lord from entering or controlling. There are some things that we still want to be preeminent in, some areas of our lives where we just don't want someone else telling us how to live our lives. But the Lord is all about helping us to tear down walls and fences and hedges in our hearts. He wants to be a part of every aspect of our lives because He loves us and He cares for us more than we can ever know. May we be open to His working in our lives. FRANCES: We decided for this trip to head back to Chacaloochee Bay. This time we were going to go straight across and look for Conway Creek. When we put in, the water was a little cool, but we were soon distracted by a brilliant red sun throwing rubies on the water. I tried the camera-between-the-knees-trick again to capture some video and then we headed on a more north-northeastern path. On our way we had to go through some of the same marshy are we had been in last week and this time my goal was to look at the current of the water to try and keep us in as deep water as possible. We found our way back to the center of the bay and then paddled north for awhile. At one point we pulled our kayaks close and just floated while we chatted and enjoyed the current of the water. 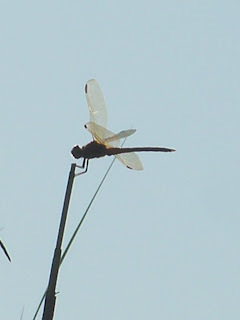 On the way back to the put-in I saw lots of dragonflies landing on the reeds. 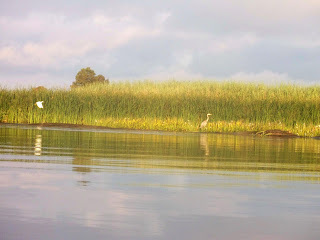 Every time I would stop paddling to take a picture of them, I would crash into the reeds. 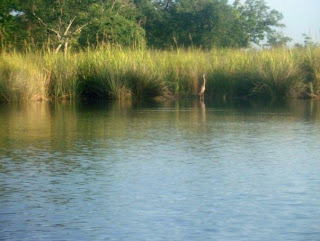 Glen, more fearful of gators in the reeds than the water (and accurately so) would yell at me to get out of the reeds. I didn't get a shot of the dragonflies until after we pulled our boats in. I promptly came home and studied up on alligators and their mating and nesting habits! Thunderstorms and Rain. . .
Well, for two weekends now, the forecast in the mornings and afternoons has been for thunderstorms and 50-80% chance of precipitation. This morning, the chance was 100% -- it is raining. In our part of the country during the summertime, we get into this weather cycle where the day is punctuated by thunderstorms and rainstorms. Unfortunately, the midday is just too hot, at least for me, to spend out in the sun. So we seem to go a few weeks without kayaking, and I hate that. kayaking. For just a little road trip, our state has other rivers offering kayaking trips down those rivers. What a wonderful place to live for people who enjoy spending time on the water. Parallel But Not Synonymous. . .
Of course, I couldn't resist the temptation to take out my camera and snap some pictures and video of the flag and as I did so the thought came to me of how much I love the flag. I love how it looks, I love the colors, but most of all I love what it represents. I love our country. 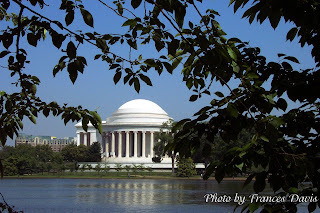 When our family visited Washington, DC several years ago, I loved seeing all the monuments, the Constitution (that was in fact the one thing I felt I had to see, because it was the thing my son had pledged his life to defend.) I loved seeing the tokens and relics of our past and the backbone of our heritage and history. Of all our vacations, it has been my favorite. As much as I love my country, I love my Lord and God infinitely more, and I realize the two are not synonymous. That may seem like a pretty obvious statement, but if a Christian holds the Bible to truly be the word of God and the authority for their life and they also hold conservative political views, the lines between the two can sometimes seem blurry. We may find ourselves passionate about political views because underneath that view is also a spiritual truth we are more passionate about. We may find that a political turn of events disturbs us because it is in direct conflict with what we know to be true from the Bible. 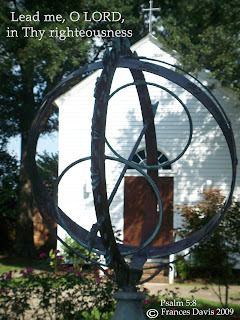 Because we find the two lines in our lives becoming blurry, we often become political activists -- and even find ourselves hand in hand with people who share diametrically opposed spiritual views, but share political ones with us -- because we are fighting the political warfare of the day. Some may just find politics in and of itself fascinating and interesting and enjoy the plug and tug that the different parties cause as they jockey for power and control. This is the question I must ask myself: Do I feel passionate about a political issue because the Lord commands me to be or just because I am politically passionate about it? Some would adamantly declare that Christians have a responsibility to be politically active in certain issues, and in some ways this seems logical. Let's look to the Lord Jesus and the Apostles as examples in this. of the most despicable regimes imaginable. In those days it was even legal --legal mind you -- for a father to murder his young child if he found it to be convenient for him. But what did the Lord tell us about the Roman government? "Render therefore unto Caesar the things which are Caesar's; and unto God the things that are God's. "(Matthew 22:21). Basically, the things that belong to the world, give that to the world, for example, pay your taxes. The things that belong to God, give to Him, your heart, mind and soul. "Thou shalt love the Lord thy God with all thy heart, and with all thy soul, and with all thy mind. This is the first and great commandment. If we follow these, then we will be exactly where the Lord wants us regardless of the political climate of the nation, and we will be responding correctly to those around us regardless of their political views as well. Yes, He may call some to be politically active, but it will be with a heart of tenderness and love toward our fellow man, whether he agrees or disagrees with us politically, because we are not allowing the lines between our political views and our spiritual beliefs to blur. Our political view should never lead us to an attitude of harshness, hatred or meanness toward any, regardless of their political viewpoint. Our relationship with the Lord should be that which is the primary guiding of our actions and our attitudes. If it is not, we have allowed the lines to blur, we have crossed over from one line to the other, we have made one thing supreme which is not. for the battle is the LORD'S, and He will give you into our hands." FRANCES: This was our second time to kayak on Dog River and our first - and only so far - time to kayak on a Sunday morning. We headed out a little later than usual, the sun was already up, the sky was bright and clear, the water cool and choppy and a nice wind was blowing. I had already looked at the satellite maps to see the twists and turns in tributaries of the river and it looked like there were some that were banked with grass and marsh, no houses. I thought that would provide a quiet, peaceful place to paddle. It was exactly that. Except for a couple of birds flying overhead and a symphony of others we could hear but not see, we were alone on the water. At some points the water, which at the put-in had been so choppy our boats were rocking to the rhythm, was now as smooth as glass. The reflection of the trees, reeds and sky was incredibly beautiful. We followed the winding twists and turns, all the while watching the clock. We would have to leave in time to get ready for church. It always seems odd how it takes so much longer to go out than it does to come back in and it seems like it will take so much longer to traverse a body of water than it really does. When we came back to the choppy water, back to the river itself, the wind had picked up much more than previously and the water was even rougher than before. Even though I hated to come in from the water, I knew the constraint of the clock and the deteriorating weather made it the best and safest decision at the time. Death has come to our team. 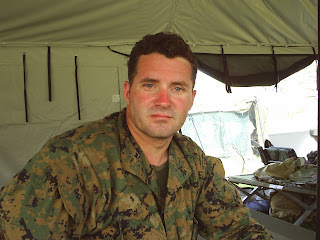 Foster Harrington was shot by an Iraqi sniper on September 20th. We were told our guys were performing an "unusual mission" --as if any mission in war zone is routine -- when he was shot. The knowledge of his death has struck me deeply. I honestly expected all six of them to come home unscathed. And yet, here is one -- the leader, no less -- coming home under a draped flag. How much more I could have prayed! How many times have I allowed my thoughts to be diverted while guns are aimed at my son and his green-clad brothers! Life is not about fun and games and entertainment -- it is about a spiritual war -- and Foster one of the casualties. How much more it has caused me to pray for Noah and the rest of the men on his team. Already they have a new captain of their team and I hear Noah thinks highly of him. I have added him to my prayers. In the days before Noah left for Iraq I had a strange occurrence with my Marine teddy bear statue. Several times he fell over. The sight of that stiff little Marine lying on it's side tempted me to fear each time -- as if it were an omen that my real Marine would also fall. I never told anyone about it, but kept it to myself because it just seemed way to silly to share. Whenever it would come to my mind, I wold remember the verse, "it will not come nigh unto thee" and would claim that prayer for Noah. Then when the hurricane (Ivan) blew through, I just knew my yellow bow with Noah's name on it would have been blown away, but it was the first thing I noticed when we came home. A little frayed perhaps, but still there. 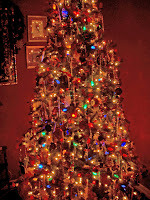 The one on Sandy's tree was there, too. I felt as if the Lord was gently patting me on the shoulder saying "I told you he will be alright, I'll take care of him." Even when death has struck so close, I will continue to believe that our Lord will be a very present help in time of trouble --the God of Jacob will be Noah's refuge. Today was Foster's Memorial service at the Recon unit. The Marines not deployed from the unit were all there, of course, but also there were many, many more. Some were Foster's family and friends. Some were people who knew him, some never met him. Some were there, like us, to honor the Marines we know and love who are still there serving. I wasn't there primarily for Foster. . .I was there for Noah who couldn't be there himself. My response to the service surprised me. What I expected to bring tears didn't and what I didn't expect to, did. 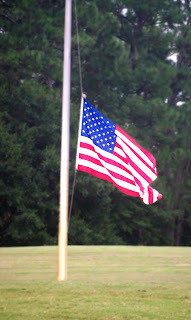 What shook my heart the most occurred at the beginning of the service, when the National Anthem was played. It struck me that this was the first time I had heart it played in honor of a patriot that I had known of personally. Suddenly it had so much more meaning, and I knew I would never again hear it without it touching my heart. (I have never heard it since that I have not thought of Foster's sacrifice, or the sacrifice of my son, and it has each time brought tears to my eyes, as it should.) I vowed that from now on it would cause me to thank the Lord for all the bravest of us who have given up their freedoms to protect ours. At the end of the service seven rifles volleyed three shots each and a bugle rang out clear and true the mournful notes of taps. Each Marine in turn, many with tears streaking their faces, walked by to touch the helmet and say goodbye. I vowed to pray harder, more fervently that the Lord will protect my son and that his safety is totally of Him. On this Patriot's Day, let us all remember the brave men and women who in the past have sacrificed so much for so many, and those who continue to do so today. They deserve our utmost respect and appreciation. No Sunrise Without the Alarm Clock. . . I am not a morning person by nature. For the first twenty years of my career I worked night shift and loved it. My body is still on a night-shift clock. But in 1997, I took a day-shift position and since that time I have been forcing myself out of bed early in the morning to go to work. Now, my husband is a cheerful, chipper, early morning riser. Not me. He has learned through the years to wake me gently, preferably with a cup of hot coffee waiting. I move slowly through the paces of getting ready, my body, and often my mind, being tempted to resent each step along the way. Once I heard my husband joke to someone else that my heart "doesn't start beating until 9am!" I was thinking about this morning as we were on the way to the hospital. It was a particularly brutal morning. I had not slept well and I did not want to get out of bed at 5am. For that matter, I didn't want to get out of bed at 6am or 7am either. But, here I was at half past six in the morning, pulling up next to the hospital. 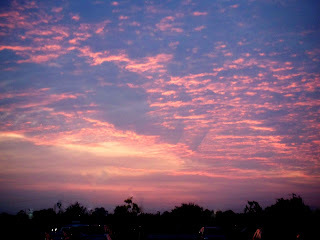 Then, as is often the case in the morning, I looked to the east and saw the most beautiful sky. The sunrise was painting the sky a gorgeous combination of pink and blue -- quite fitting for a Labor & Delivery nurse heading in to work. I took a second to pop over to the hospital's heliport and snap a picture. 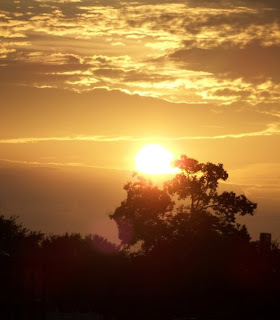 You see, a great many of the beautiful sunrise pictures I have taken over the last few years have been taken from that very spot early in the morning before I walk into the hospital. Pictured here is one of my all time favorites, taken one morning before work. Had I not been working day-shift and not been going in to work, I would have never seen that sunrise to have even had the thought about pulling out my camera. My thought about this is that when I am tempted to think how much I hate going to work in the mornings, I need to remind myself that "as for God, His way is perfect." (2 Samuel 22:31) I may think I know what may be best for me, or even perfect for me, but it is God who knows what is best and His way is always perfect for me. 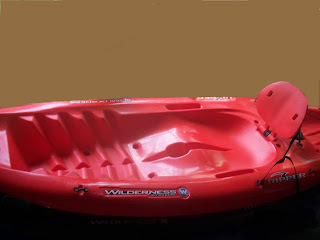 One of the things that concerned me the most when we moved from kayaking in small creeks to kayaking in large rivers, was the issue of re-mounting the kayak if for some reason I should be tipped out of it. Now, I have to admit that our kayaks are remarkably stable. In all the years we have been kayaking, we have only had one capsize and that was because, unknown to us, the boat was taking water in the hull. Otherwise, they seem amazingly able to compensate for the waves and wakes on the water and for our movement as well. Still, the thought of being out on a large river and out of your boat was a little disconcerting. However, when using a self-baling, sit-on-top kayak, re-entry is not a difficult maneuver. This is made even easier if you are wearing --and you should be -- a properly fitting and properly buoyant personal flotation device. If you don't have a paddle leash, put your paddle across the end of your boat . With your kayak right side up, reach for the far side of the cockpit with one hand. Reach for the near side of the cockpit with the other hand. Flutter kick your feet and using a motion similar to how you get out of a swimming pool, onto the side of the pool, pull yourself across the boat. You may feel the boat tip some toward you, this is fine, this helps you to get into the boat. When your belly is in the boat and your hips are past the side of the boat, roll over so that you are sitting side-saddle in the boat. Now simply pull your legs into your boat and you are ready to go. Practice Deep Water Re-Entry in water that is deep enough to be over your head, but close enough to shore so that if you needed to you could easily swim to safety. Don't paddle out far in the water until you have learned these steps and feel comfortable with them. It is one of the most important things you can learn about kayak safety. We have done the church services at a local convalescent home for many years now. A friend of ours joins us and we have all three done the music together. We have enjoyed singing together as we each sing a different part. Glen sings the melody and plays the guitar for us. I sing the alto and Jack sings tenor. I have enjoyed our singing and our harmonies all these years and been quite satisfied with the results. I didn't know what we were missing. The last year another friend of ours, Steve, has graciously come to join our ministry efforts. Steve sings with us as well and sings bass. He has completed our quartet and now we have the full complement of voices. I love to listen to how the vocal parts interact during the songs. Sometimes Glen and Jack may share a note, sometimes Steve and I may share a note - though an octave apart. Sometimes Jack and I may share a similar harmony line. The voices interweave through the song supporting each other, giving strength to each other. Sometimes the notes are disconsonant, but always in a way that makes for a stronger chord and makes the next chord progression even more powerful. This is like the body of Christ. As Christians, our interactions with each other support each other as we allow our lives to be interwoven among each other. Sometimes there may seem to be a disconsonant note, but we may find that leads to a stronger connection and progression further down the "song". Sometimes we share the same note, sometimes we sing the same thing only in a different range, but we are encouraging, exhorting, teaching and uplifting each other. When Glen, Jack, Steve and I sing together, often Glen will stop playing and we will sing the old hymns a capella, our voices providing the only music. If we are all in tune, there is a particular feeling to it, a rightness, as the notes meld together into one voice -- much like the ingredients in a recipe joining into one cake. Like the cake, it is sweet indeed. The same is true when Christians live together in the unity of the Spirit. for brethren to dwell together in unity!" A Surprise in the Clouds. . .
FRANCES: We had a great day of kayaking yesterday. 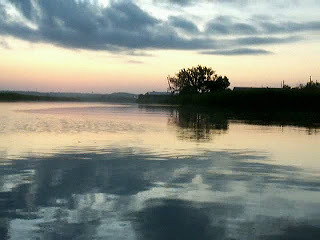 We went to Apalachee River again and put in before sunrise. We didn't expect to see much of the sunrise itself, because the sky was full of gray clouds. In fact, the sky was gray, the water was gray, I didn't think it would be a bright and happy day for a paddle. Boy, was I wrong. 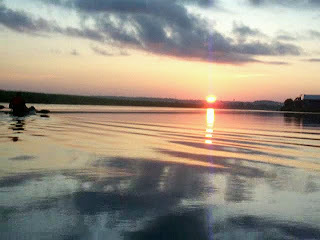 GLEN: I made the comment that "we might not see the sun rise," but I had the feeling the sky would still be beautiful. Once the sun came up, most of the clouds did burn off and the day was absolutely gorgeous. GLEN: This time, the weatherman was right on target. The weather did exactly what he said it would. The wind and current going up river were against us to the point the waves made by the wind were crashing against the bow of my boat. I enjoyed watching the little waves form and then fall again. Then our eyes noticed the plumes of splashes far in the distance. Not one or two but ten, twenty, forty -- maybe even a hundred little splashes. What was causing that? We tried looking with the binoculars but still couldn't tell. Only after we paddled closer could we see it was fish jumping everywhere! GLEN: Literally hundreds of fish. FRANCES: I thought surely one would jump into our boats, but it never happened. We stopped at one point in the middle of the river, believe it or not, so Glen could take a phone call. I turned side-saddle in my kayak and dangled my legs into the cool water. I had brought a banana and the rest of my "birthday" cinnamon rolls to eat, so I sat and enjoyed my little snack while Glen chatted with our friend Tom from Tennessee. GLEN: I knew that Tom would appreciate talking to us while we kayaking. FRANCES: I took some pictures and enjoyed the break, then we realized that the strong current of the day had pushed us almost back to where we had started on the river. By this time though the wind had died down some so paddling back was not quite as hard as it had been before. GLEN: I actually thought I might tip over the other way, but I was able to right myself. It's good to know that we can do this in case we capsize. The only problem with the re-entry practice was that I had forgotten that I had tucked my mp3 player into my bathing suit strap and didn't take it out before I slid into the river. It took a good dunking and is still drying out. GLEN: Now how can you kayak without an MP3 player?! Besides that, it was one of the nicest days on the river we have ever had. The Clouds and the Sun. . .
We had a wonderful kayaking trip yesterday. (You can read more about that at our kayaking blog: http://beyondthebow.blogspot.com/.) When we started out, though, the water was gray and the sky was gray, I didn't have much hopes for a sunny day. In fact, I was a little concerned about the weather. I thought some of the clouds over us looked a little threatening of rain, or worse yet, lightening. I kept my eye on the clouds through the sunrise. The clouds were painted beautiful shades of rose and pink to blend with the gray. The sun itself was rarely visible, but still we could tell it was rising. 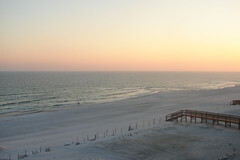 Soon morning was in full swing and the heat of the sun melted away most of the clouds leaving a gorgeous day. I thought little of the sun after that, except to think that I needed my sunglasses and to realize it was getting hotter. As I paddled I thought of what a lesson that presented. 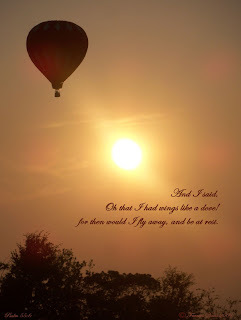 When the sky was filled with clouds, making me concerned for the weather, I kept my eyes on the sky and the sun. I watched the sky during the entire sunrise. Once the sun came up and burned off the clouds, I didn't think about the sun anymore. Our perceived nearness to the Lord, our closeness to Him from our perspective, is greater when there are clouds in the sky -- when there are problems in our lives. When there are concerns and worries and issues to be dealt with, we pray more, we talk to the Lord more, we turn to the Scriptures more. But when the clouds have burned away and the skies are clear and sunny, we don't think about the Son as much. He hasn't forgotten us, we are the ones that have forgotten Him, now that we don't "need" Him to help with those problems. Somehow we think the that small things we can handle fine all by ourselves. The truth is, we wouldn't have the next breath except that He graciously grants it to us. We wouldn't be able to perform what to us is the simplest of tasks except He strengthens us to perform it. 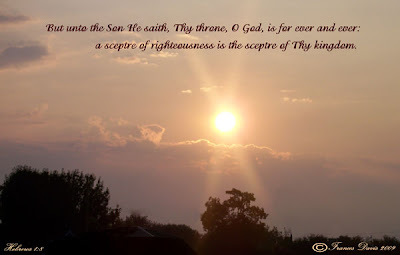 Let us begin today to turn our eyes to the Son, whether the wind be with us or against us, and realize He is ever there waiting and desirous of our fellowship. He longs to have us turn our gaze to Him, not because He needs us to, but because of His great love for us. He delights in our turning our faces toward Him, in our calling His name, in our sharing even the simplest aspect of our day with Him. He ever waits for this. It was late at night several nights ago when a knocking on our bedroom door broke the flow of our conversation. Noah came in to give us news that he had only just received. "I am leaving in march for Camp Lejeune and then in June for Iraq." I almost thought it was a joke at first. Perhaps I hoped it would be a joke, but no, his Team Leader had just called him and told him. I had really thought that we were beyond the chance of deployment now. After all, Saddam Hussein had been captured, the framework being put in place for a democratic Iraqi government, why would they need special forces now? It is a question I cannot answer, nor can he. My first response after Noah left the room was to burst into tears. Not because I feared for his life, although that certainly was an issue. Hadn't I just read that more US military men had died in November than any month since the war began? But more than that I hurt for the pain and discomfort he would feel being separated from his family, his job, Aimee and all he found comfortable. A mother never wants to know her child is in a position of pain or need or discomfort. And I knew this deployment would bring all those things to his life and I would be powerless to relieve them in anyway. So I cried my tears of sorrow as Glen reminded me that we had given Noah to the Lord when he was born and to his country when he became a Marine. I know in my heart that if the Lord wants him in Iraq, he will be safer there than in my living room, so I do not intend to question the Lord's working in his life. But as we celebrated Christmas today, I was struck by the thought that he would most liekly not be with us next Christmas -- our first without all our children around the table -- and he would likely have little Christmas clelbration at all. But the winds of war are uncertain. Who is to know what six months may bring? I must put him in the Lord's hands for everyday not just for his deployment. nd in the meantime I can approa ch this prt of his Marine career as I have the others: by learning everything there is to learn and learning most importantly how I can support him and help him and learning how to pray for him. The Birthday Song. . .
FRANCES: For my birthday this week, Glen wrote me a song about kayaking. Eyes To See. . .
that I can't read anything on the newspaper (although we canceled the newspaper a while back -- but that's another Powder Room) except for maybe the main headline. The contact in my right allows my right eye to see things up close and my left eye - which judges depth - sees things far away. It took about three days after starting monovision for my brain to figure out which eye to "look" out of, then it was automatic. I never even think about it. At any distance, my vision is perfect and clear. I tell you this because I especially appreciated the wonder of monovision this weekend. I accidentally went to sleep in my contact Friday night and when I woke up the next morning, it was gone. This was particularly upsetting because it was my last contact and my prescription was expired. The good news is that I had an appointment with the eye doctor today so I won't have to wait too much for my new contacts. The bad news is, my prescription has changed. Now instead of wearing one contact, I will wear two. My right eye, as usual, see up close and my left eye sees far away, but now the left eye sees far away with correction. So when I have my contacts, I have "eyes to see". When I don't have my contacts, I don't have "eyes to see" -- I can't see anything within arms reach, and those things outside of arms reach are sort of blurry. I have to have the right tools to see what I need to see. We are the same way with the Lord. We have to have the "eyes of our understanding" to be "enlightened". We can't fully understand the things of the Lord in our own understanding. In essence, I need the Lord to help me put in my "contacts", so that I can see what it is that He has for me to see clearly. I recognize quite fully that without those contacts, I can't function, I can't see. I know I need to daily not only put them in, but also do what it takes to care for them and my eyes as well. Without my contacts I can live, but I would miss out on so much that makes my life special, that makes my life what it is meant to be to me. That is the same with my life. Without the Lord's enlightenment, I can still live, but I would miss out on all that makes my life worth living. I must depend upon Him to strengthen me to do those things which will lead me in the way He has called me to walk. Just as the Lord Jesus said of the Father, "My Father worketh hitherto, and I work," (John 5:17), so He works "in us both to will and to do of His good pleasure." (Philippians 2:13). The Squirrel. . .Here He Is!